The Oakland Asian Cultural Center is centrally located in Chinatown’s Pacific Renaissance Plaza, above the Oakland Asian Library and with convenient garage parking. The 15,000 square-foot center includes a 325-seat auditorium designed with lighting, sound stage and dressing rooms for performances and flexible seating arrangements. 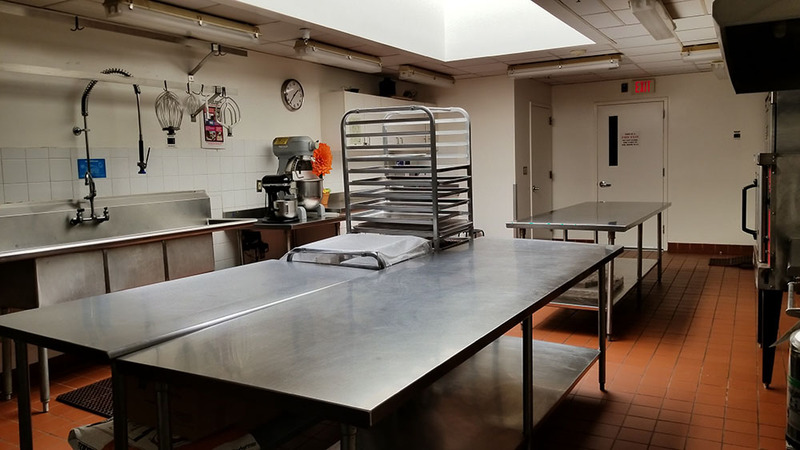 A full-service kitchen is available for catering and culinary classes. Classrooms, conference rooms, a dance studio and an exhibit space offer year-round opportunities for cultural enrichment. OACC is centrally located, and very easily accessible via public transportation, including 12th St. and Lake Merritt BART stations, several AC Transit routes, and Amtrak. All funds from the rentals of our facilities are channeled directly to the support of our non-profit programs and the maintenance of our facilities. By renting our space, you are supporting our ongoing work with the local community to nurture Asian Pacific American arts and culture in the Bay Area. **Subject to availability. Event must take place between the listed hours including move-in and move-out to qualify. This offer cannot be combined with other offers.  Oakland Asian Cultural Center is a community-based 501c3 non-profit corporation. OACC reserves the right to refuse any rental.  The rental of the facility by individuals or groups does not constitute any endorsement of the products, message, or methods of the client by OACC. The Edward W. Chin Auditorium is a space that has dark wood paneling and contemporary details that create an ambiance of elegance. Cathedral ceilings that reach a height of 16 feet allow for excellent acoustics. Completed with a generous donation from Mr. & Mrs. Edward & Yuri Chin, the Auditorium features dark wood paneling and contemporary details that provide an elegant environment for any occasion. At the front of the Auditorium is a stage with curtains, standard theater stage lighting, and a 9’ x 12’ projection screen. The Auditorium is also equipped with a full sound system. High ceilings and fabric-covered walls allow for excellent acoustics. Behind the stage are two dressing rooms, each with its own bathroom. With its open floor-plan, flexible seating arrangements, stage, and audio-visual capacity, the Auditorium easily adapts to a variety of uses: from banquets and receptions to conferences, workshops, performances, film screenings, and sporting tournaments. Studio Room 6 has hardwood floors, a wall of floor to ceiling mirrors with barre, white-board, and a small stage with three large southeast-facing picture windows serving as its backdrop. The studio is airy and bathed in natural light. 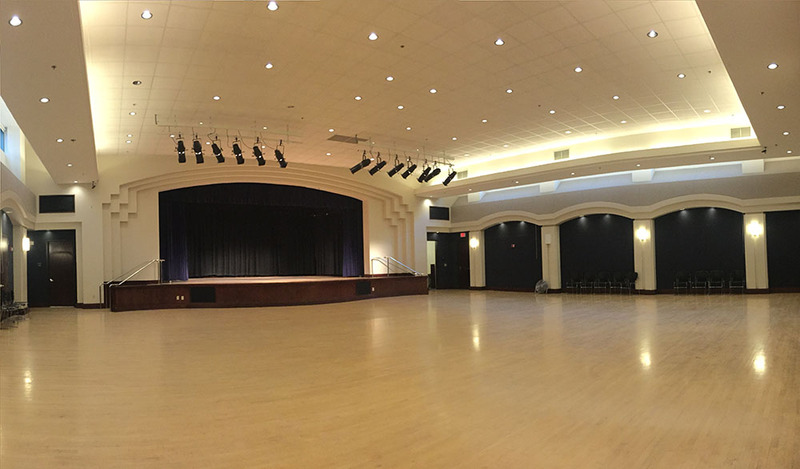 While primarily used for dance, movement, and other performing arts activities, this studio may also be used for gatherings such as receptions, meetings, and lectures. 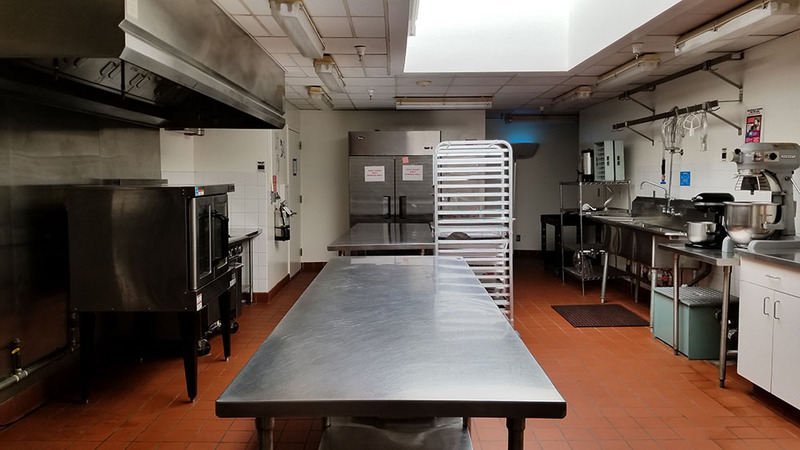 Located between the Auditorium and Conference Room 4, OACC’s commercial kitchen is available to rent as a long-term commissary kitchen or for a limited duration such as for special events and culinary classes. It comes equipped with a 2-door refrigerator; gas range and oven; convection and microwave ovens; hand, vegetable, 3-compartment sinks, and two 10-foot stainless steel workstations. Our kitchen is currently partly home to a few of Oakland’s best local food businesses. Please email for monthly commissary rental inquiries.